As challenging as finding the right gifts for the food lovers in your life can be, it can almost seem more difficult to find the little kitchen gadgets and tools to fill their stockings. 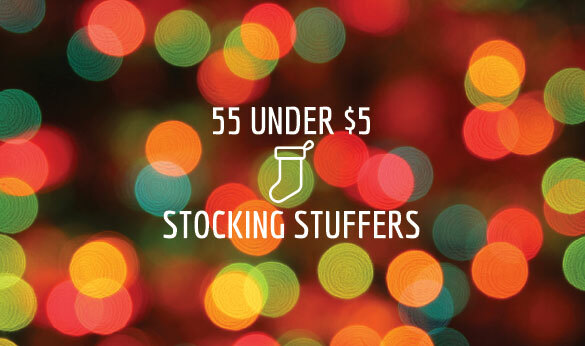 Fortunately, we’ve got you covered, with 55 sock-worthy items that cost little more than a carol. From mini Lodge cast iron skillets to Update cocktail shakers to Cuisipro icing bottles, this selection includes items even the food lover who has it all will be happy to find hanging on the mantel.